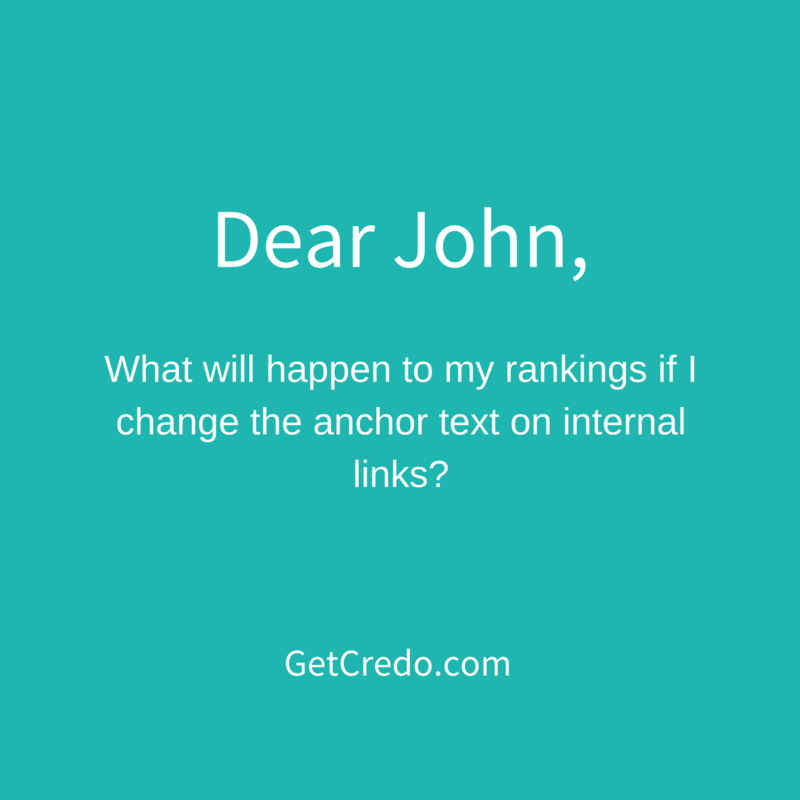 Dear John: Will changing my internal linking cause a rankings drop? A question came across my plate recently about internal linking and singular vs plural and how that will affect their rankings. We have made a great mistake. Looking at keyword search volumes somehow Moz showed volumes for two keywords which only differentiate by an ‘s (plural) as same. Now we optimized our internal links (all links have the keyword) for the singular word. Now looking at other search volume estimations from competitors we see, that the plural has 5 times bigger volume. Our issue: If we change some of the category links now to another keyword, we will loose our ranking with the singular word. Correct? Thanks for your question. It’s definitely one that gets asked pretty often. Honestly, you should do what is right for the user. Do you have multiple of the keyword (eg widgets) and not just one (eg widget)? If so, use the multiple because it’s what the user who is looking for multiples will want to see. If the latter, use the singular. If you’re really concerned about losing rankings, build more good links. That’ll help out across the board with your rankings. Want me to answer a question publicly that you have? Email hello at getcredo dot com with [DEAR JOHN] in the subject line and I’ll line it up!